On Wednesday, a heavily armed 19-year-old former student entered Marjory Stoneman Douglas High School in Parkland, Fla. and opened fire, killing at least 17 people. Just seven weeks into 2018, the incident is already the 18th school shooting this year, and the eigth resulting in injury or death, according to Every Town for Gun Safety, a gun control advocacy group that tracks gun deaths. Mass shootings occur with alarming frequency in the U.S., more so than in any nation in the world. The deadliest incidents prompt predictable calls among gun control advocates in Congress — almost entirely Democrats — to tighten the nation’s exceptionally lenient gun laws. Many point to Australia, which significantly tightened its own gun laws following a mass shooting in 1996, when a lone gunman killed 35 people. Since then, there have been no gun-related mass killings in the country, and an overall decline in gun death rates. But those opposed to new regulations, including the majority of Republicans, characteristically argue that the aftermath of a national tragedy is not the right time for political debate, and that stricter laws would only deprive law abiding Americans of their fundamental rights while doing little to prevent those with ill-intentions from getting hold of firearms. In recent years, the latter faction has been undeniably victorious. Passing new national gun control measures has proven all but impossible in a country where the right to bear arms is enshrined in the Constitution’s Second Amendment, and where the gun rights lobby wields enormous political influence. Led by the efforts of the powerful National Rifle Association, firearms advocates stand firmly against almost any new restrictions, and through effective political organizing and generous campaign contributions, have successfully thwarted all recent efforts to enact tougher regulations. Many gun rights proponents consider ownership a birthright, a protection as essential as freedom of speech. Even though the number of U.S. households with guns has actually fallen in recent decades, the rate of firearms per capita here is still by far the highest in the world: nearly three of every 10 adults owns a firearm, according to a recent Pew Research survey. 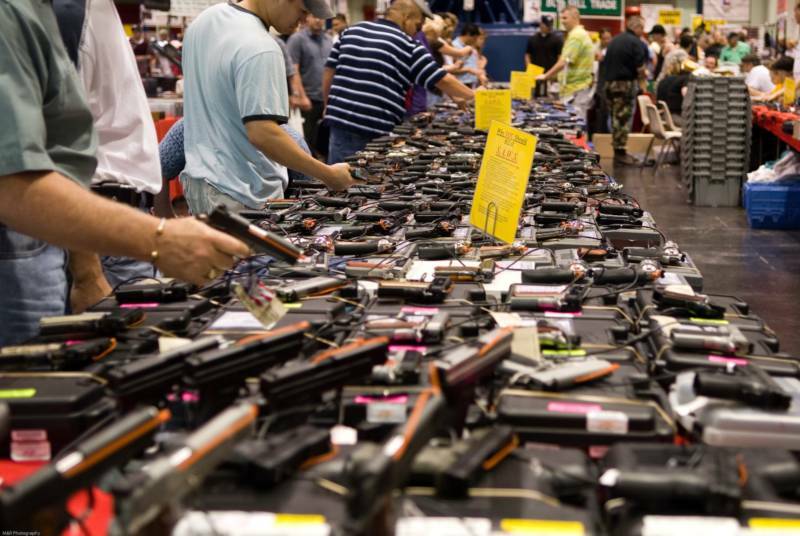 Today, there are an estimated 350 million civilian-owned firearms in the U.S. That’s more guns than people. Although mass shootings receive the most attention, they actually make up only a tiny percentage of America’s hefty gun carnage. The U.S. has far higher rates of gun violence than any other developed nation. In 2015 alone, more than 36,000 people were killed by firearms, just shy of the total number killed in auto accidents, according to the Centers for Disease Control and Prevention. But while popular support for stricter gun laws does typically increase in the wake of major mass shootings, the sentiment doesn’t usually last long, as Congress neglects to act and eventually moves on to a different issue. There’s little disagreement among Americans that gun violence is a problem: more than 80 percent consider it a major issue, including 50 percent who call it “a very big problem,” according to the Pew poll. In fact, U.S. gun sales typically spike after mass shootings, a consequence of more people feeling unsafe and wanting to protect themselves, as well as an increased concern that such incidents will prompt stricter regulations and make it harder to buy guns. Proponents of stricter regulations are quick to note the correlation between America’s high rates of gun ownership and gun violence. But gun rights advocates often argue that there are other factors at play, and these statistics don’t indicate a cause-and-effect relationship. They note for instance that gun homicide and other gun crimes in the U.S. have fallen sharply since peaking in the early 1990s, even as gun ownership remains high. Explore the interactive graphic below, produced by FiveThirtyEight, based on 2014 CDC data, to learn more about the victims and perpetrators of America’s ongoing gun violence epidemic. Which states have the highest and lowest gun death rates? What are possible factors that might contribute to these high and low rates? The national gun death rate average is 10.54. Find three states that fall above and below this average. Are there states that fall below the average national gun death rate (10.54) but also receive a low gun control grade (below C)? What might account for that? What’s the gun death rate and number of total gun deaths in your state? Is that higher or lower than you expected? How does it compare to rates in neighboring states? Identify two states with very different gun control grades (ie. an A- and an F). Go online to look up and compare both of these states’ gun control laws. What are the biggest differences? We encourage students to share some of their responses in the comments section at the bottom of this post. The map below is based on data from the Centers for Disease Control and Prevention’s analysis of 2014 death certificates. It factors in all reported gun-related deaths, including homicides, accidents and suicides (the latter of which makes up about two-thirds of gun deaths nationwide). There were a total of 33,599 reported gun deaths in 2014, according to CDC data, a rate of 10.54 per 100,000 people. Gun ownership rates, measured per 100,000 population, are derived from the results of a survey published in the health journal Injury Prevention of 4,000 adults from all 50 states. Gun control rankings are from the Law Center to Prevent Gun Violence, a group that advocates for stronger gun control laws and assigns grades to each state based on the strength of policies like background checks, concealed carry permits, bulk firearms purchasing and gun carry restrictions in schools and other public spaces. The National Rifle Association has its own rundown and interpretation of state laws here. The Law Center to Prevent Gun Violence points to a 2010 statistic showing that seven out of 10 states with the strictest regulations also have the lowest gun homicide rates. But gun rights advocates opposed to tighter regulations argue that this a misleading comparison. One common rebuttal is that stricter regulations do little to prevent criminals from getting hold of guns; they simply prevent law-abiding citizens from being able to protect themselves. Gun rights advocates also often point to states like Maine, which has some of the loosest regulations in the country (it received an F grade by gun control groups) but also has a relatively low gun death rate. They also argue that strict gun laws in cities like Chicago and Washington, D.C., have failed to prevent high gun homicide rates. “The gun laws in Chicago only restrict the law-abiding citizens and they’ve essentially made the citizens prey,” Richard A. Pearson, executive director of the Illinois State Rifle Association, told the New York Times in 2013.